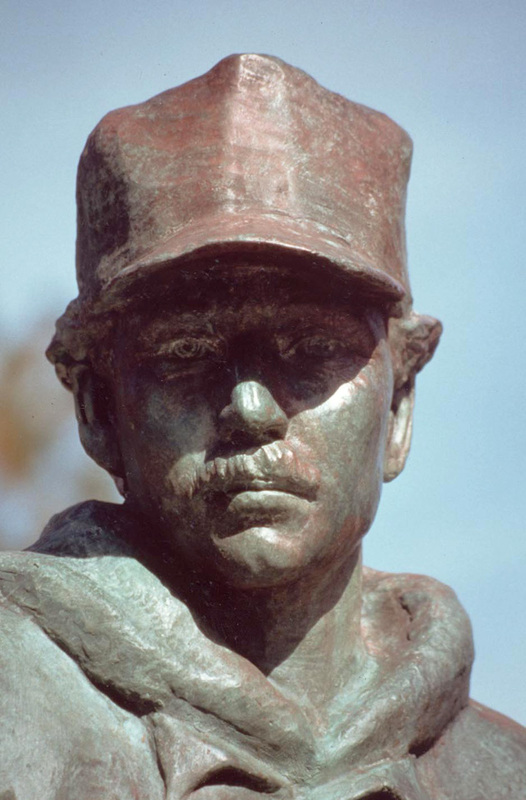 A seven and a half-foot bronze figure stands on the bow of a twenty-foot granite boat. 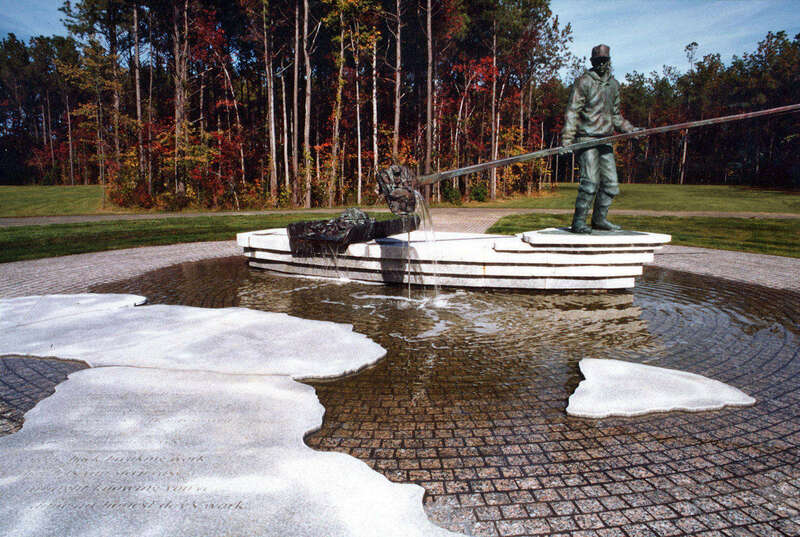 The figure and boat are in the center of a 50-foot diameter cobblestone lined basin. Dedicated 1994.